FNPA is a First Nations governed, not-for-profit development company, reducing development costs and risks for First Nations-led projects. Connecting both Indigenous and Industry leaders in the development of environmentally-preferred power generation projects, FNPA is the first of its kind non-profit organization in North America. We have created a team with the experience and knowledge to successfully develop your next renewable energy project. Working for the economic benefit of its members, the Canadian electricity sector and all Canadians, FNPA is greening the country’s electrical grid, bringing greater power reliability and security to Indigenous communities and fostering rewarding relationships between Canada’s Indigenous groups and Industry. FNPA is the pathway to powerful opportunities. Discover the possibilities and become a member today! Check out this amazing story! #CONFERENCE in #Saskatchewan. 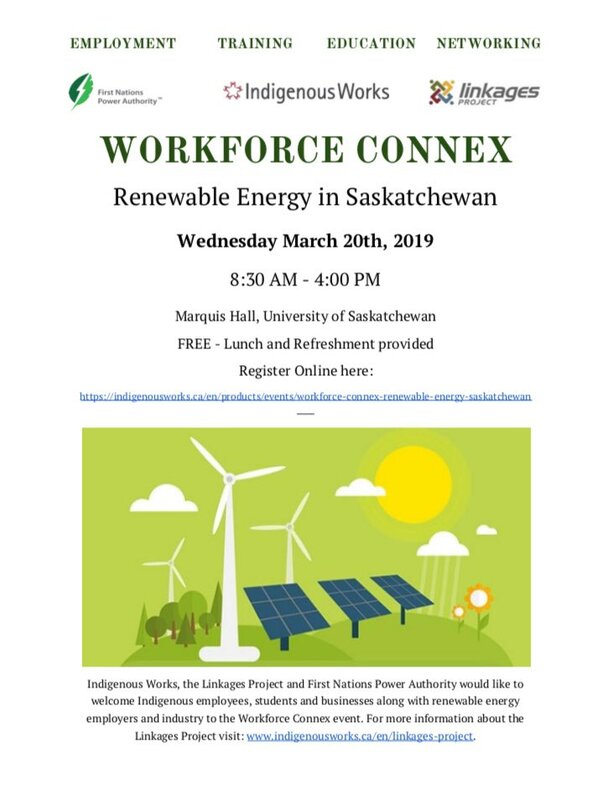 The Workforce Connex Event is fast approaching! 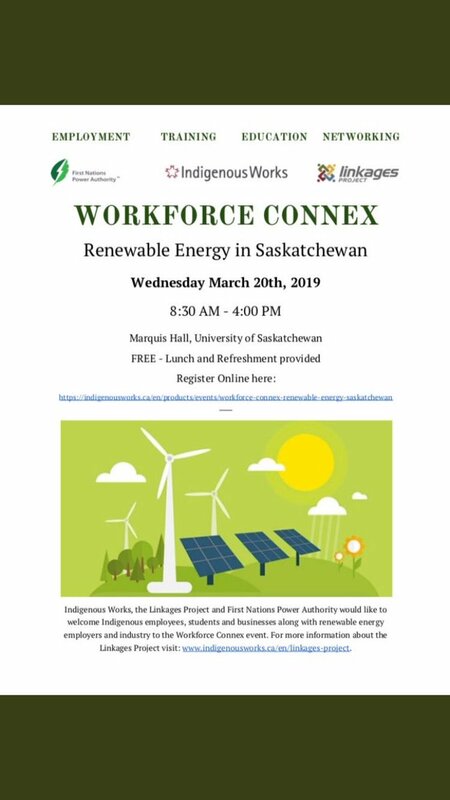 On March 20th, join us in #Treaty6 at the U of S to engage in dialogues, panels, and networking about #renewable energy and #Indigenous leadership in green energy in the province. Register now! 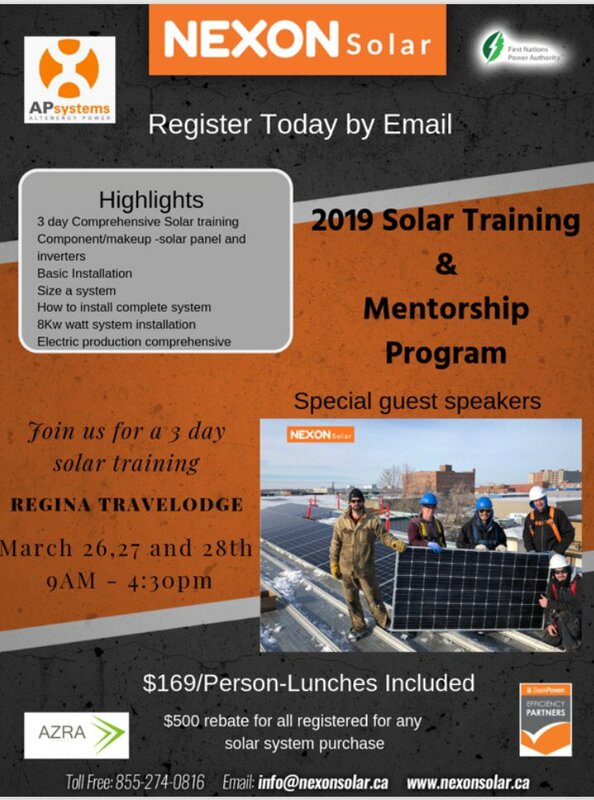 Don’t miss out on this wonderful #renewables #solar #training #opportunity happening in #Treaty4 ! #OPPORTUNITY Interested in learning about small scale solar installation, design, troubleshooting & a 50% rebate if you buy a solar kit? One of our members is offering this low-cost workshop. They have limited financial aid available. Register today! Please share! © COPYRIGHT FNPA. ALL RIGHTS RESERVED. Site by: AdSpark Communications.